Why The North End Italian Cookbook? My wife just got back from visiting her mother, Nonni. She brought back a cook book. My wife's family is Italian. So is the cookbook. As it turns out, this is a well know cookbook. You can still find it on Amazon . It's author Marguerite DiMino Buonopane is well known for her recipes. They are authentic Italian Cuisine. Use any of the links above to read about her. I like Italian food. I especially like Nonni's Italian food. So I thought I'd make every dish in this cookbook. I don't always have thinly sliced Genoa salami. Sometimes I just have plain old salami. And even other times I have honey ham. I'm also a gardener. So I usually have fresh grown grape tomatoes available. I don't want to get bent out of shape because I don't have an ingredient. So what I'll do during this process is substitute. I maybe use beef when something calls for veal. I may use fresh tabasco peppers rather than tabasco sauce. Forgive me if you ever read this Margauerite. 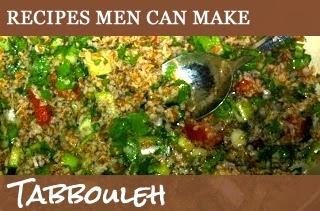 I wasn't trying to improve your recipe. I was just trying to do the same thing you did. Cook some food using what I had on hand, and that people would enjoy. 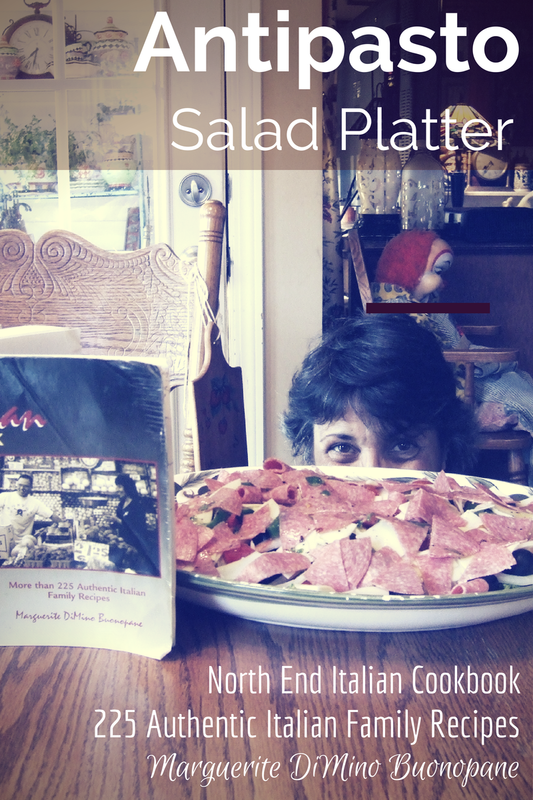 The Antipasto Salad Platter on page one seemed like a good place to start.